Brothers and sisters in the Light, together we can make a significant difference in the out picturing of the intentions of Heaven on our planet earth. We do this by warmly embracing the Teachings of the Ascended Masters and putting Them into practice. We take refuge in the Christ within and the promise that we ourselves can and will become fully, wakefully an expression of our individual Christ Presence. We take refuge in our opportunity to live the Teachings, to internalize the Teachings, to share the Teachings with others through our living example, through the quality of our heart, through our choice of words by Divine Wisdom, and by the activation of the Threefold Focus of Fire in our hearts in prayer, meditation, visualization and the practice of giving the Word. And we take refuge in community, in building the Sangha of the Buddha, the place for aspirants to gather and influence and encourage one another on our way and assist each other and each other’s children to make the grand discovery of the rich beauty and noble treasure God has placed within each of us. Many of us have come together and have been quickened by our contact with the Ascended Masters. 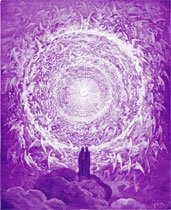 We have read Unveiled Mysteries and felt inspired and ennobled by this, Saint Germain's first volley to the general public trough Godfre, inviting all to participate in the new Dispensation of the knowledge of the I AM Presence, the Brotherhood of Light and the Violet Flame. For many of us, our first contact with the new Dispensation came through the efforts of Mark and Elizabeth Prophet and the outer Activity known as The Summit Lighthouse and Church Universal and Triumphant. Jesus warned us that there would come false prophets in our midst and taught that we would know them by their fruits. Taking the Master’s words seriously as it applies to our sweet Teachings is wise and appropriate and fair. So let us ask: What is the fruit of the I AM Activities that we have participated in? Each must look within to answer that question as it applies to one's personal spiritual growth. For myself, I will answer openly and frankly. I admit that I have not realized the God-Mastery I had hoped would be the case after 22 years of involvement in this Teaching. Yet hope breathes eternal in my heart and soul. I do not forsake the Teachings nor the path but continue to believe, continue to strive for that Inner Perfection that surely exists at innermost levels of my own being. For indeed, I believe myself to be created by a Noble and Holy Father who desires only the best for me. But to answer the question of Jesus regarding fruits, I also freely admit that I am closer to living the noble life now than I was, and more so because of the Teachings I have received from the Ascended Masters. Indeed, I hesitate to consider how far afield of the noble Intentions and Purposes of God I might have otherwise strayed by this point in this embodiment were it not for the polarizing effect that these Teachings have had on me, drawing from my Inner Self Christic Attributes like a magnet to the fore front of my conscious awareness. Our current culture is swimming in astral effluvia. 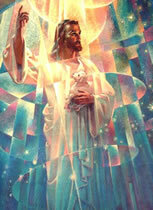 We are bombarded by imagery and sound and message that strongly attempts to pull us toward our lower nature, to our desires for sensual and material things of this physical experience, and tends to sap us of time, energy and attention that otherwise would or could be applied toward our Victory in the Light and service to our fellow souls thirsting for the Light of Christ yet not knowing where to go nor how. The Ascended Masters are here for them, as we all know. The fruits of our spiritual aspirations are difficult for us at times to see. They are sublime, but often subtle. Yet our ability to continue to strive for the higher and more noble - this lofty aspiration still alive in our hearts despite all the pressures and pains and influences of this world - is most surely a kind of fruit, albeit a fruit not yet ripened. One can not judge, let’s say, a mango when it is small and green, when it is at an early stage of development. One day it will expand to full size and basking in the light day after day ripen to its fullest potential of sweetness. So I will be fair to myself and the influence of the Masters and Teachings on my lifestream by noting that I ain’t finished yet. I am a work in progress, a masterpiece of God’s Creative Love at an embryonic stage. Now, turning back to the admonishment of the Master Jesus and applying His advice to the I AM Activities, beginning with Theosophy, passed to Godfre and the I AM movement, then to The Bridge to Freedom, and then to The Summit Lighthouse, it is also fair to conclude - the Dispensations from the Masters are not finished yet. Many of us have just lived through the hey-day of the Masters Teachings as expressed through The Summit Lighthouse. We have recognized these Teachings as inspired and ennobling and as a true Ascended Master Activity. Mark passed from outer view in the 70’s; Elizabeth has now announced her retirement. The summer conference in Montana, in Corwin Springs where I spent community day with my many friends, marked the second time in a row that a Summit conference was given without a new Dictation or Dispensation of Light given. Yet I think we can all agree that the Masters exist above and beyond the Activity itself, that They are not limited to any outer organization, that They remain present with us in the form of community and the rich legacy of Spiritual Gems that has been added to the on-going progressive revelation. The organization has provided a chalice of receptive hearts for the Masters to fill. It has been a vehicle through which Masters have worked for our liberation and the liberation of our planet. Our love and appreciation for these Divine Masters remains fervent and our deep appreciation for Mark and Elizabeth who served Them so long and represented Them to us deserves our gratitude. Yes, we are grateful for their long and powerful service as the last curtain is drawn on a glorious Dispensation. They have left much for us to ponder and apply. The Gems of this Dispensation are now part of the ongoing legacy of the Teachings of the Ascended Masters and will find a special place in history. We were touched by Fire. Our contact with the Ascended Masters has formed a relationship that is yet ongoing. Surely we want to continue to allow the Great Ones to influence our lives. We must continue to decree, to meditate, to pray for our own salvation and for the planet at large, as we have so often been told. So our affiliation with the Ascended Masters is ongoing and re-ignited by our daily devotions. Our affection for Them and our tie and commitment continues. Now consider that the Ascended Masters, being far sighted and with unabated Love for us and for mankind today, tomorrow and far into the future are as enthusiastic and optimistic as ever. Saint Germain’s Age of Freedom in the Aquarian Cycle has just begun. His Love for America and mankind is strong, determined and far seeing. His Work is not done. The Brotherhood will never cease in Their efforts to bring forth the Golden Age. Surely They would see the end of the cycle of the Summit Dispensation and make provisions for an on-going Activity to represent Them at the dawn of the New Age. Elizabeth Claire Prophet wanted to train her daughter Erin as a Messenger, but Erin did not feel that it was her calling, which she would know best. Elizabeth has pinned her hopes more currently on her sweet child. He may yet be raised up to fulfill such a mission. Time will tell. He must follow the dictates of his own divine plan and he is so tender of age that he need not concern himself with the question for many years to come, if he chooses to entertain the question at all. Let the Flame of God within him guide his course. Still, as her desire seems to clearly indicate, she saw a need to raise up new Messengers to continue the progressive revelation. All the Masters desire yet to bring forth has yet to transpire. We are not yet experiencing a Golden Age, that much is clearly evident. The foundation stones are still being laid. CUT will morph into something we know not yet what. Many earnest hearts are wrestling with that now. It makes sense to me that the Ascended Masters would, indeed, realize the need for raising up and training new Messengers to reach the thousands of souls yet awaiting the quickening action of a live dictation. Saint Germain is working fervently to bring in the Age of Freedom and surely He is able to contact and raise up and train new Messengers. He has stated His vision and desire to see mass Ascensions from the hillsides of the earth. He will see this happen and work fervently for its fulfillment. I think it is easy to see that His work would be greatly enhanced by the training and over shadowing of new Messengers. Are there to be found those to whom we can turn for further inspiration, direction and Dispensations of Light for our children our grand children and ourselves? Or do we package and repackage what has already been given and say to the Brotherhood "Enough already! Let me apply what you have released to date. I’m still digesting!" The Brotherhood will move on with or without us. An outer organization is a vehicle, not the thing itself. They can sponsor a new Activity and use that vehicle just as we can buy a new car though the one we have used for so long may have been good and reliable and we may cherish the journeys and experiences it provided. One may embrace the new without abandoning the old. The Bible is just such a case. The New Testament builds on the Old. One prophet succeeds the previous. I believe that the Masters have indeed raised up two new Messengers and that a new Dispensation is at hand. The Brotherhood is working toward a continuum of the I AM Teachings for the Aquarian Age Lightbearers. I tell you frankly and openly that I believe whole-heartedly that these Messengers are Monroe and Carolyn Shearer. I have spent time in Bozeman and then in Vermont with The Temple of the Presence to see for myself. Before I walked away scoffing at their claim, I had to wrestle with this simple question: What if El Morya and the Brotherhood has raised up real Messengers and I walk away without even considering it to be true? Do I not owe the benefit of the doubt to the Brotherhood to at least take a peek? Or do I walk away firm in my resolve, based on what others have told me about these new Messengers and let others determine my course? Shouldn’t I decide for myself? What harm can come? I attended a 5-day Retreat in Vermont and was deeply and profoundly impressed. I enthusiastically encourage everyone to judge for yourselves. Why dismiss the on-going Dispensations of the Brotherhood for affections you may have for the previous Dispensation? After all, is not your true affection for the Immortal Beings of Light and not the vehicle They have formerly expressed through? Will you look squarely at the current struggle for survival of CUT and conclude that this is the final release of the Ascended Master Activities? I pray not. The fruit of the Ascended Masters' Activities on this planet is yet to fully ripen. And Ascended Beings, not bound by time and space and material bodies as we are, surely can raise up a new Activity of Light. Who are we to deny Their prerogative or limit Their Powers? Rejoice, then, in the New Dispensation. Your children and grandchildren can yet experience inspired Discourses and Dictations and personal contact with living representatives of the Brotherhood even as you have been privileged to do. Why deny these sweet young ones such an opportunity? Attend a Temple of The Presence conference, check out this Dispensation, bring your questions and concerns, come with your antennae for the Light fully up, participate in the Question and Answer sessions, meet privately with these new Messengers, and after quaffing the new wine, then decide for your self. To pre-judge is to be prejudiced. Shall prejudice be your guide, then? What is to be lost by a deeper investigation? Very little but time, effort and a small portion of your God-given supply for travel. But what is to be gained? Ah, what indeed! I came to the Bozeman gathering skeptical, a scoffer. I attended but a little and left uncertain. I interviewed the Messengers and began to be converted. Then I went to Vermont and was transformed and fully converted. The Temple of The Presence, I found, although yet a fledgling organization, is thoroughly saturated with Ascended Master Light. My Flame has been re-kindled, my mission re-ignited. A spiritual community is waiting to be built. A beautiful and noble Dispensation of Light, Love, and Loveliness is on the verge of unfurling for future generations. The Temple of The Presence is the next step in the progressive revelation. It is so refreshing and wonderful and inspiring. You who have long put your shoulder to the plow in the work of the Ascended Masters, you who yet feel the calling to be of service, take heart! You are needed as never before. There is much to be accomplished. Take up the challenge. The New Age is now dawning. A foundation for Saint Germain is still being built. You can be part of it. Again, investigate it for yourself. As Saint Germain said: "TRY!" Theos Rules You. There are videos of Dictations and Discourses available. Currently CDs are available. And best of all, quarterly conferences that will afford you the opportunity to bring up your concerns and personally experience this Activity. I commend to your attention two Dictations that deeply moved me: El Morya’s Message of July 2, 1999 and Saint Germain’s of July 3, 1999. Get the videos, or the CDs if you prefer. Do look closely into this new Activity and experience the Light first-hand.